XpertHR is the online resource revolutionizing the way HR professionals reduce risk, keep current with best practices and stay compliant with global, federal, state and municipal law. We offer the most comprehensive, authoritative, and up-to-date guidance on employment law and regulations across all jurisdictions - tailored to the needs of the HR professional. The XpertHR Partnership Program gives your business the ability to provide your current clients and prospects a comprehensive compliance solution that offers legal insight, news & information, best practice guidance, supervisor training, and practical tools covering the wide scope of HR roles. Increase Sales: Grow revenue by providing additional services that are first-class, and that complement your offering for increased market presence. Increase Profits: Get attractive license and/or royalty rates tailored to your business model. Strengthen Brand Awareness: Leverage globally-recognized brands - XpertHR, Reed Business Information, Reed Elsevier, and LexisNexis - known as the leading providers of legal and business services. Referral Partners: The XpertHR Referral Program provides you with the opportunity to obtain substantial commissions by driving new customers to XpertHR's award-winning services. Our resources are used by many organizations, across all industries, resulting in a sizable prospecting base for our referral partners. In addition, we offer a reciprocal Referral Program, where XpertHR would create opportunities for your business. Reseller Partners: The XpertHR Reseller Program enables you to offer XpertHR's award-winning service directly to your prospects and clients. You remain in control of the sale, so you can drive significant revenue from commissions, all while extending your portfolio. Strategic Partners: The XpertHR Strategic Partnerships Program offers an integrated solution to expand your product offering. With our API plugin, you can incorporate all or targeted selections of XpertHR content into your products and offerings, giving your users instant access. We work with you on the technical implementation, helping you expand opportunities and ensuring success every step of the way. Our content is written and continuously updated by an in-house team of legal experts, alongside over 400 employment lawyers from more than 70 of the country's most prestigious employment law firms, such as Littler Mendelson, Ogletree Deakins, and Fisher Phillips. 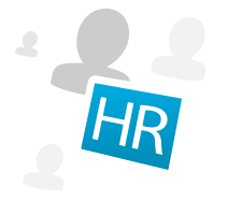 To complement our practical HR guidance, original legal source materials are provided by our sister company and leading legal publisher, LexisNexis.